Creation Date Monday, 15 September 2014. 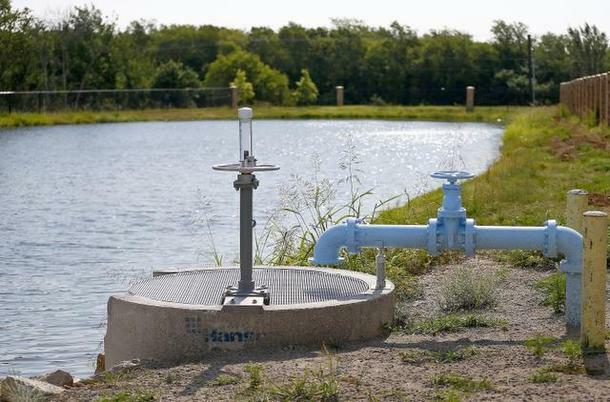 The Southern Montgomery County Municipal Utility District launched a reclaimed water project to preserve groundwater supply in the Houston area. The project is supported by a distribution system to deliver treated wastewater to outdoor irrigation systems of businesses, homes and other communities. Recharging groundwater with treated wastewater is a good practice for conservation of water resources. This system employed by Montgomery County separates the recycled water from the drinking water supply and showed a cost-effective solution for irrigation, landscaping and lawn maintenance. The first phase of the project is now complete and is expected to conserve approximately five percent of 28 gallons of clean water demand annually. Montgomery County is currently on track of the project’s second phase which will provide residential homes an alternative to use recycled water by April 2015. The district plans to expand their services to where demands are highest. According to Rick Moffatt, Montgomery County district manager who leads the project, "Years ago, people thought we had plenty of water and people now see we're running low. There is plenty of water. It just depends on how we use it." Customers across the state displays a signage proving that they are using treated water. Utilization of reclaimed water could be an effective solution for today’s increasing commercial and industrial water demands. Aqua Solutions is dedicated to providing high-quality laboratory water purification systems like DI Systems for use on pre-treated water. To learn more about our full spectrum of DI systems laboratory water purification systems, visit www.aquaa.com/type-i-laboratory-water-purification-systems-for-pre-treated-water today.